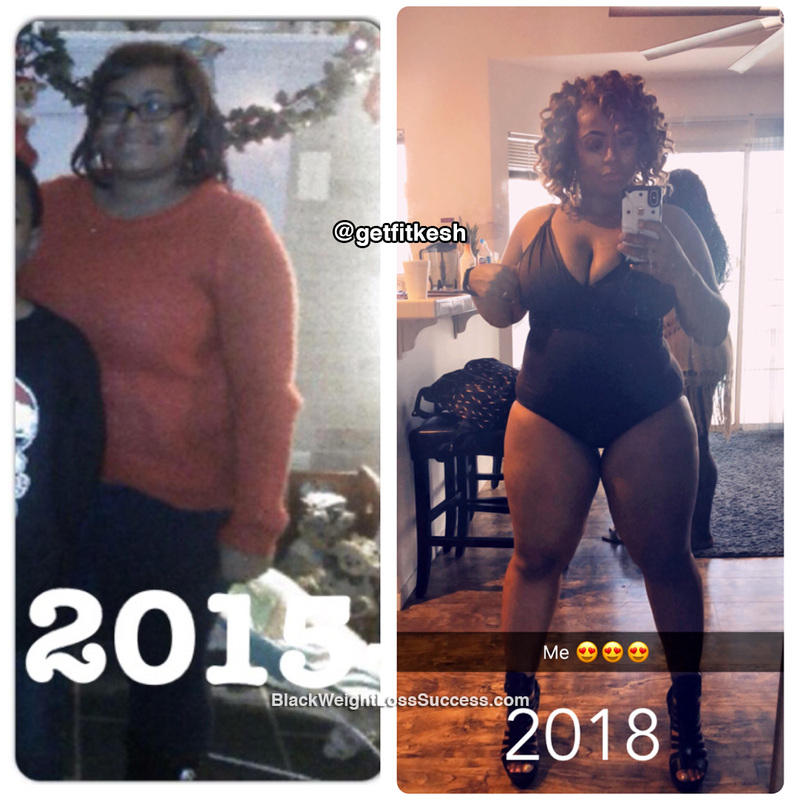 Keashia lost 20 pounds. After leaving the Army, this mom of two experienced weight gain. A serious intestinal issue forced her to change her diet, which led to a lifestyle changes and weight loss. Check out her story. After leaving the US Army and having two kids, I gained a few pounds. A few years ago, I was diagnosed with a serious intestinal illness which forced me to find the right diet and cut back on certain foods I loved. What inspired you to keep going, even when you felt like giving up? I guess I had to inspire myself to keep going. Sometimes it’s really hard and I wish I had a partner, but I just remember that I don’t want to go back to where I was. When did you start your journey? How long did your transformation take? I started in 2015. My original transformation took about 6-8 months. I continued to try to eat healthy and maintain my weight loss. I started my weight loss while on a ketogenic diet. I lost 27 inches all over all and 35 pounds. What did your workout routine look like? When I was on an Ideal protein diet and I wasn’t suppose to workout. After the diet I started working out three to four times a week doing cardio and full body exercises. I also go to Powertrain for boot camp. My starting weight was 189 pounds, I weight about 169 pounds now, after adding weight lifting to my routine. I am 5 feet tall. What is the biggest lesson you’ve learned on this journey? How to eat healthier and lift weights properly. Set a goal weight and try your hardest to get there. Remember you are not like everyone else. You will get there. You are a work in progress.